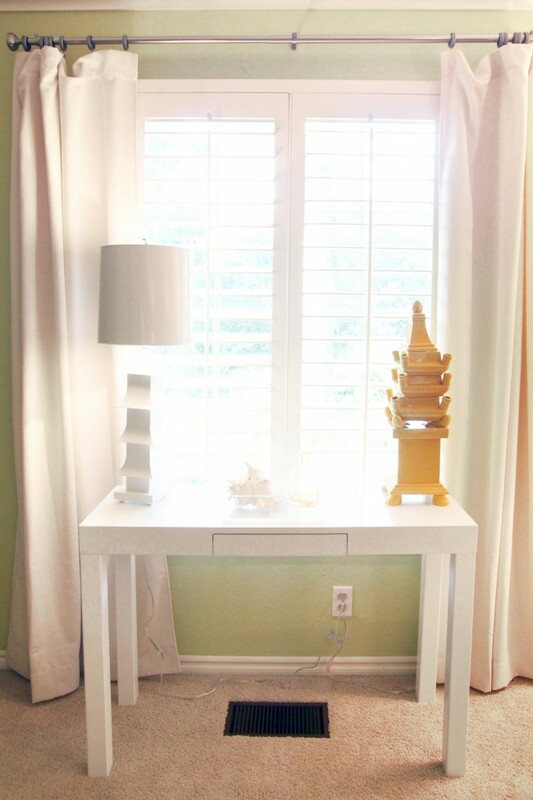 Home Tips	Guest Post from Rachel of Pencil Shavings Studio—and a Giveaway! 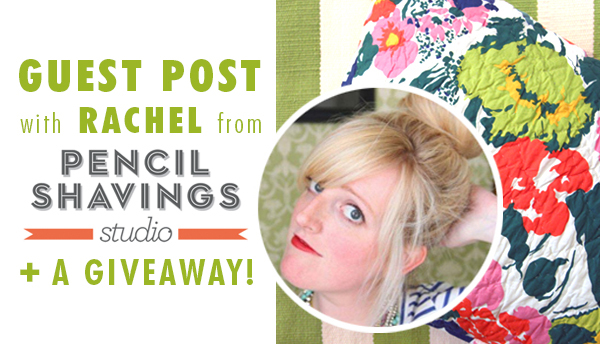 Guest Post from Rachel of Pencil Shavings Studio—and a Giveaway! Thank you to Annie Selke for having me at Fresh American today! Over on my blog, Pencil Shavings Studio, I love nothing more than talking about color; helping people learn how to put colors and patterns together to create a truly original space is my passion! 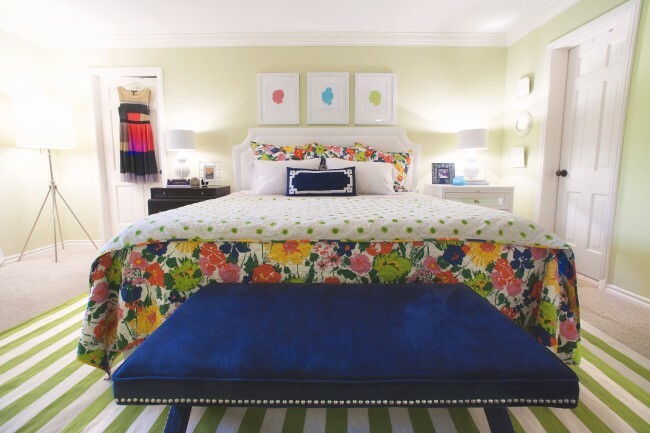 So let’s chat about how to make color work in a master bedroom. 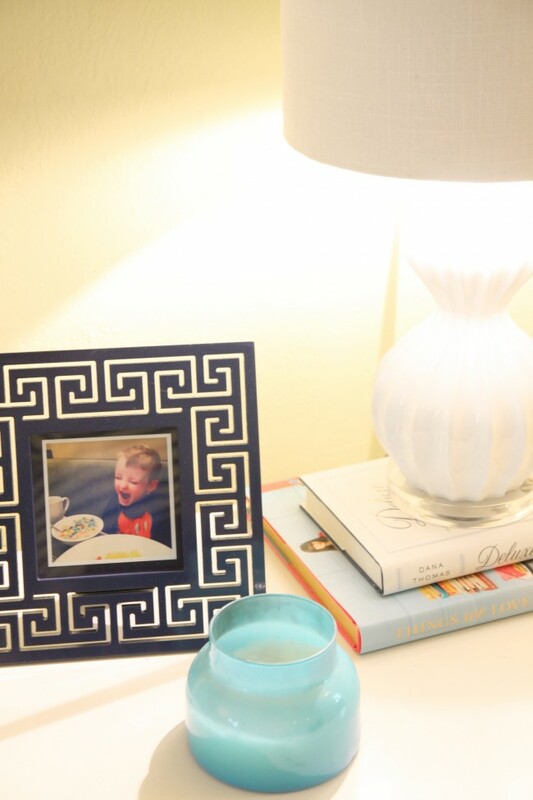 When it comes to color in interior spaces, we tend to think that kids get to have all the fun. 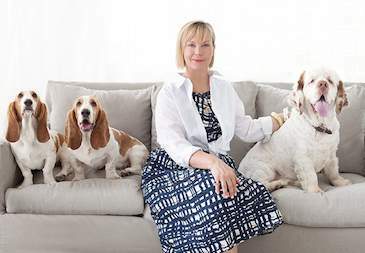 But I’m all about reinterpreting color to be modern, grown-up, and fresh. For this design, the first step was finding my inspiration for the space—the Melody quilt and shams. 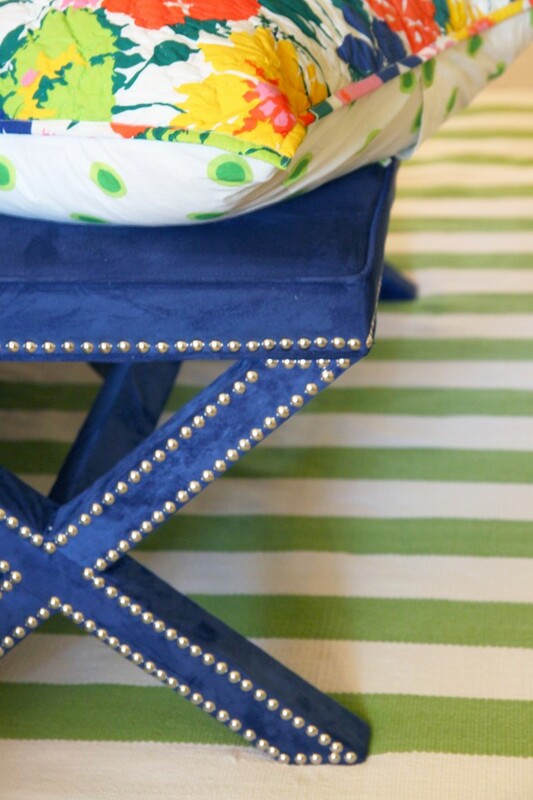 With all that bold color and pattern, I love that it’s backed with the perfect pairing of the more visually soothing polka dot pattern. Using our existing upholstered headboard and nightstands, I wanted the room to be a modern/traditional mix with a playful spin. The Melody quilt would be perfect against solid white linens—the perfect foil for all that color. Putting together a mood board is a really helpful way to plan out your overall look in advance. How will the furniture look against the bedding? Will switching out the lamps give it a more contemporary feel? What accessories can you bring in to round out the look? You can move things around before ever actually lifting a finger. It really helps me to lay things out visually beforehand so there are no major surprises when everything comes together. Pinterest is another great way to organize your inspiration; put together a board of all your favorite things for the space you’re working on. You’ll know immediately if something isn’t playing well with the other items. 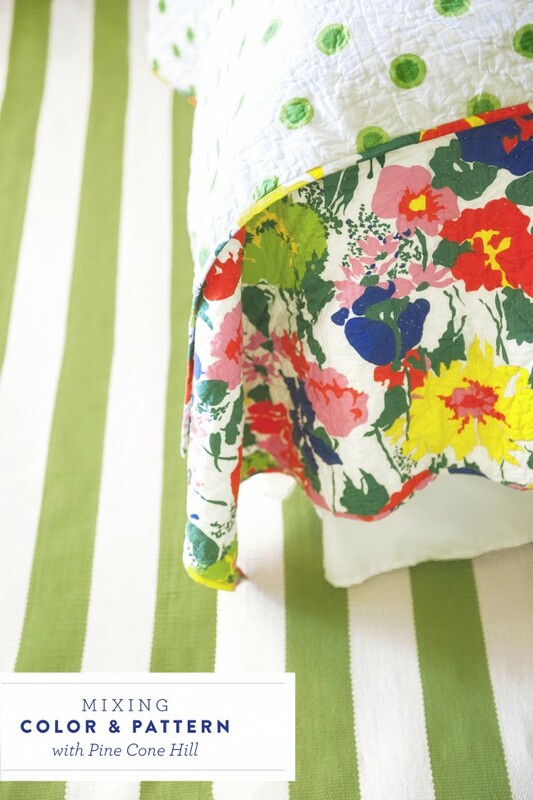 Let’s face it: I’ve never met a stripe I didn’t love, and I simply adore a stripe pattern paired with florals and polka dots. 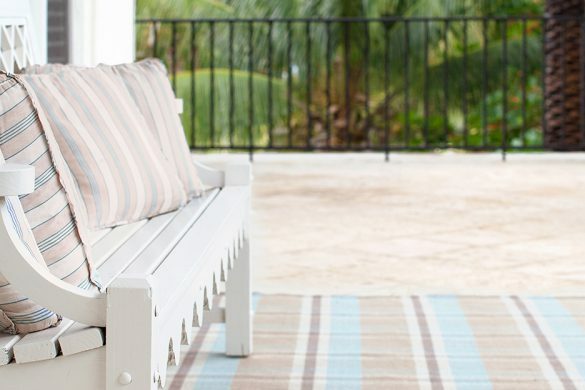 So I went with an indoor/outdoor rug in an apple green, plus a blanket in a narrow multicolor stripe. I absolutely love the way all these patterns play together. The trick is in the scale; play around with the widths so they don’t all compete against each other. Patterns really can be harmonious together—just make sure that there’s only one that’s dominant. 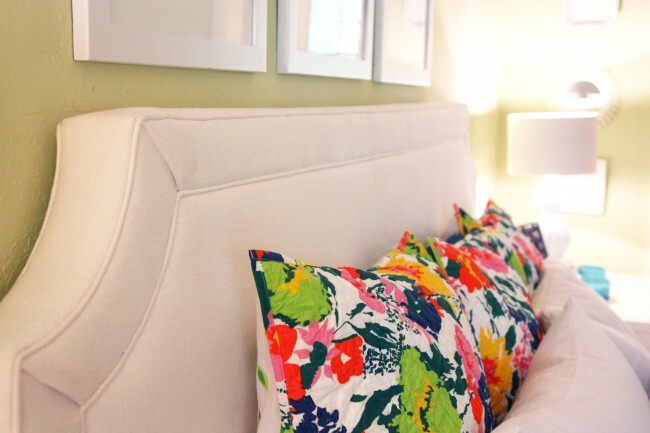 And, again, pairing everything against the white headboard and white linens calms it down and keeps it sophisticated. I really can’t tear myself away from this room! It’s colorful, relaxing, and comfortable—the perfect mix for this Pencil Shavings Studio girl. Thank you again to Annie Selke, Pine Cone Hill, and Dash & Albert for letting me play with pattern! 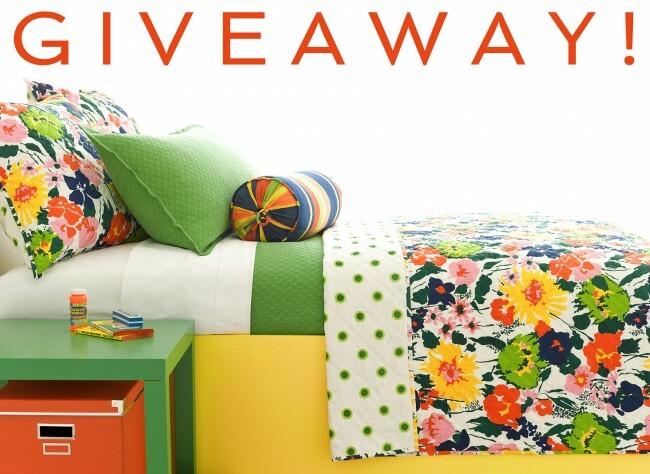 As a special thanks to fans, Annie’s also giving away the Melody quilt and shams set pictured here—an almost $500 value!—for free. Scroll down to enter. 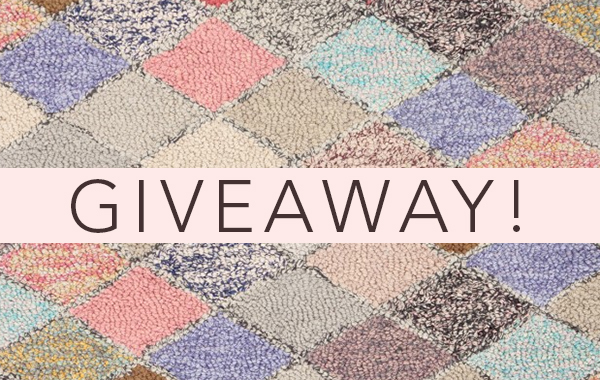 Annie is giving away the bursting-with-color floral Melody quilt and shams in the size of your choice from Pine Cone Hill! Check out the Rafflecopter entry form below for 4 easy ways to enter! Contest ends on Sunday, September 29 at 11:59 p.m. EST. View the full details. Congratulations to our winner, Michelle from Oklahoma! 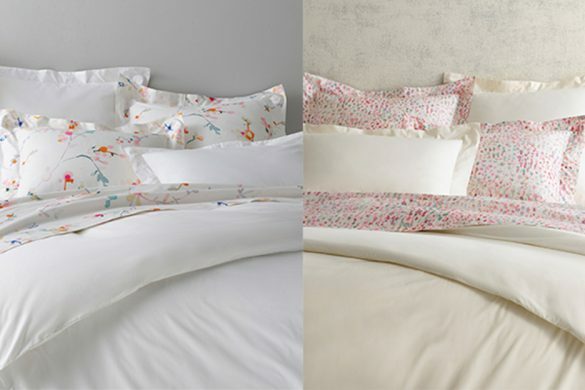 Ivory v. White Sheets: Which Should You Get? 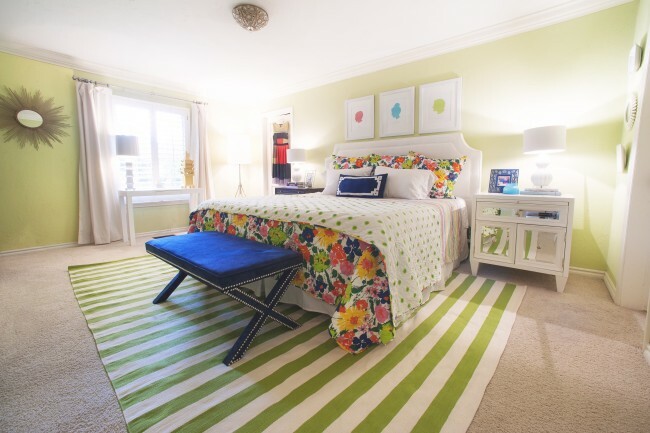 Beautiful bright and happy bedroom! 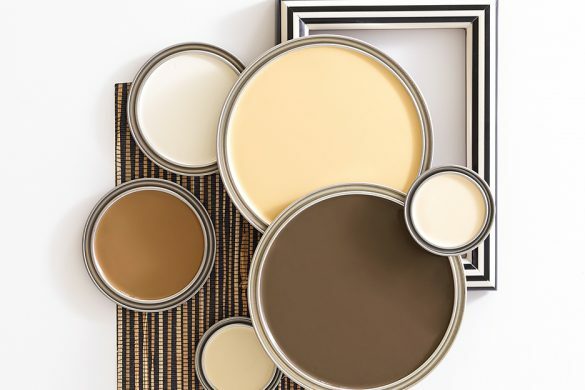 Have been trying to find these exact colors in a fun pattern for a room make over!!! Carsen Elise is a girlie girl yet lives in a house with three brothers so she has her tom boy moments for sure!!! We are wanting to take the pink out and do greens blues and reds! Love this!!!! How did you know? I have been looking for a new bedroom set to brighten up my bedroom and make me happy to look at. Your amazing! 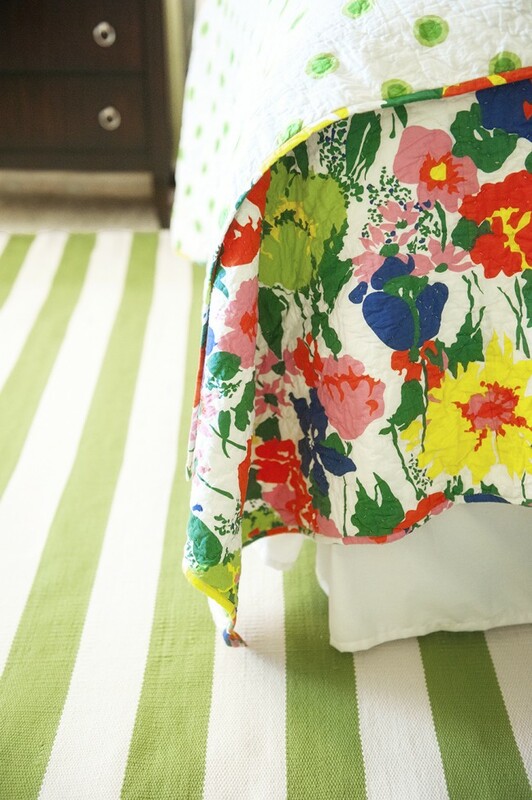 The colors and pattern just put a smile on my face! Thank you. Beautiful colors! Just love the combo! 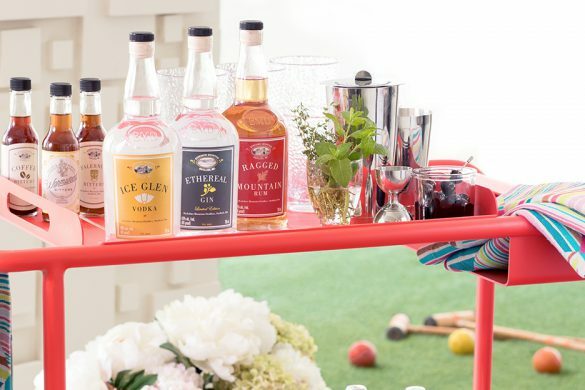 Fun and sophisticated! Great concept and color scheme! 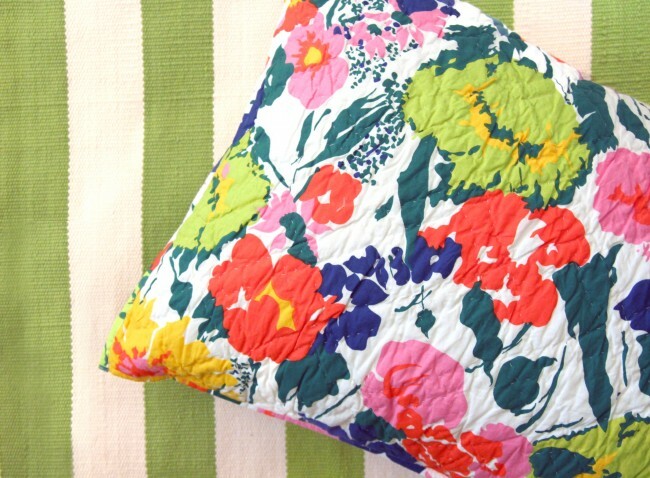 The floral pattern on the quilt is both fresh and nostalgic. I’d love to decorate a guest bedroom using your suggestions!!! How wonderful ! !My (BLING )colors in my new senior apartment ! Matches exactly !Just LUV the clean bright look !